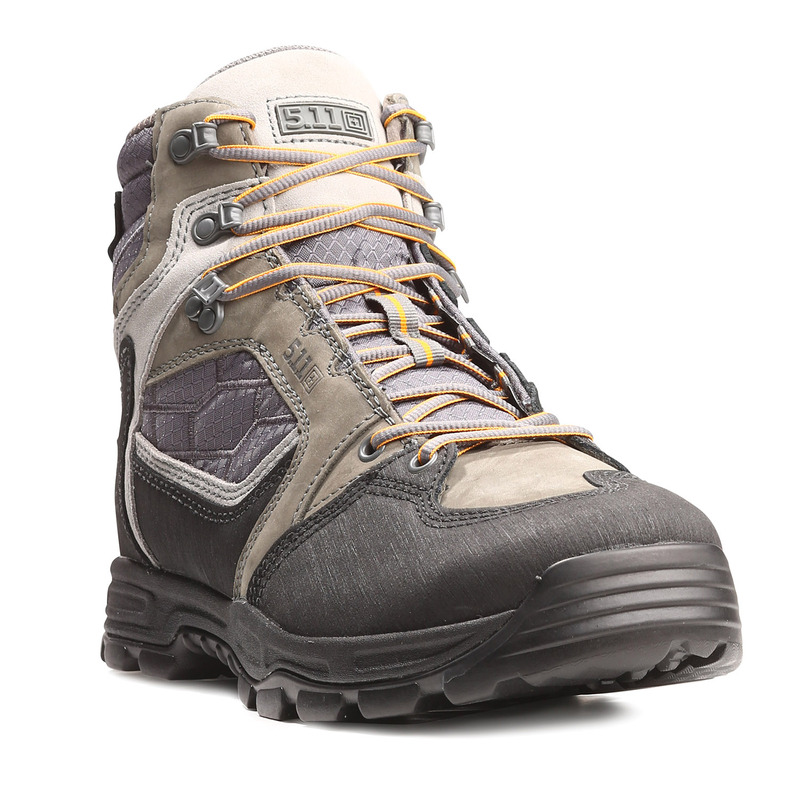 5.11 Tactical’s XPRT 2.0 Tactical Boots combine high-performance materials with top-quality construction. The XPRT’s agile and resilient structure excels in urban environments. Lightweight ripstop nylon is overlaid with water-resistant HELCOR® leather to create a durable boot that doesn’t compromise comfort. Inner, eVent® membrane is waterproof and breathable, allowing airflow to keep you cool and dry. Padded neoprene ankles reduce the risk of injury, and a full-length BI-FIT™ insole board gives you the traction you need to overcome any obstacle.